Tracey J. Epstein graduated from Hofstra Law School in 1984. She began her career as a litigator in the courts of New York City and Long Island, handling a variety of insurance defense litigation work including premises and motor vehicle liability, NY Labor Law, and large loss property recovery. Ms. Epstein spent 32 years with Nationwide Trial Division, the staff counsel arm of Nationwide Insurance, as a Trial Attorney as well as a Managing and Regional Attorney. Tracey established, grew and led diverse litigation teams from no-fault & subrogation through complex liability matters. Her expertise includes successfully defending clients in sports & event litigation, including major-chain fitness clubs, cheerleading and gymnastics studios, personal trainers, and adult and youth teams and leagues. 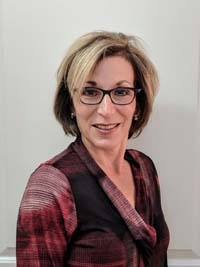 Ms. Epstein arbitrates for the District Court in Nassau County, NY and is active in the Suffolk County Bar Association. She is admitted to practice in New York, New Jersey and the US District Court. Additionally, she is a competitive runner at the 5k through marathon distance.